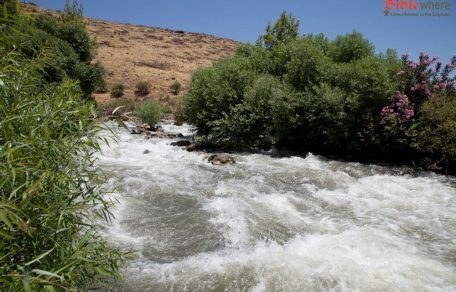 Nahal Dan is the shortest water course among the three sources of the Jordan, but the one that contains the greatest volume. 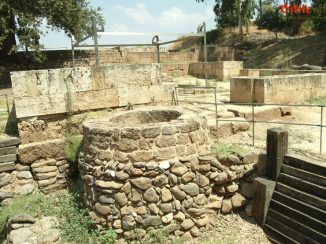 The biblical city of Dan, also referred to as Laish or Leshem in antiquity, is mentioned in the books of Joshua and Judges. 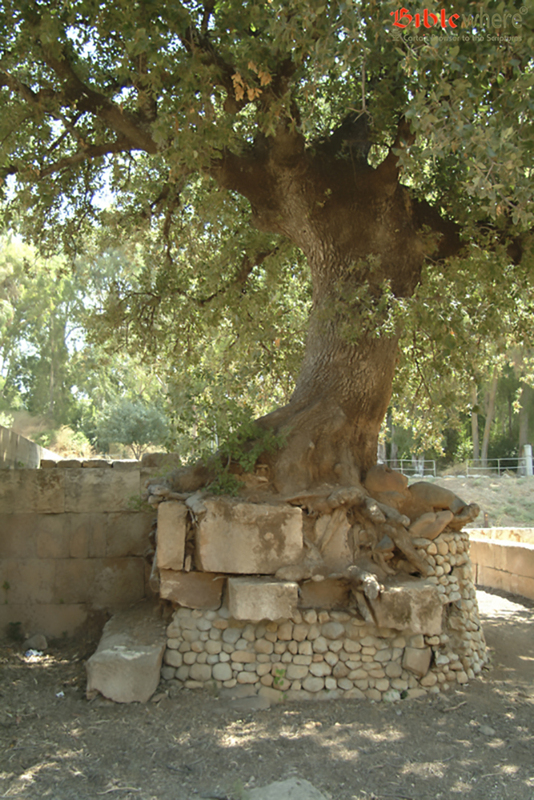 In Arabic the spring is called Ein el-Dan (“spring of the Dan”), and the tel (archaeological mound) beside it is known as Tell el-Qadi (“the Judge’s mound”). There are grounds for assuming that these names are preserved from earlier times. 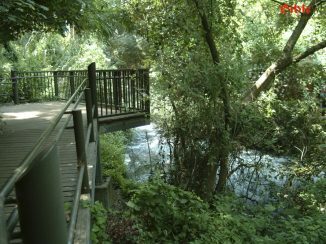 Nahal Dan is situated in the heart of an area known as “the land of streams and rivers,” and indeed, in the Nahal and along its margins, water and vegetation are present in abundance. 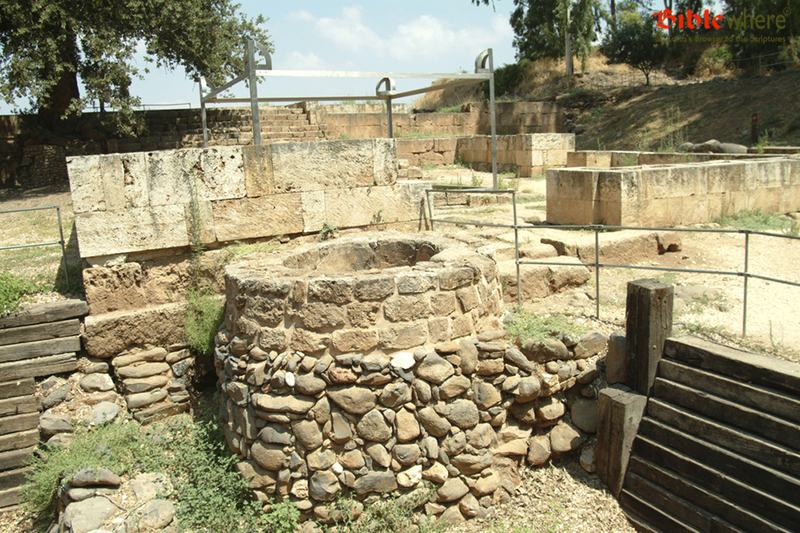 The Nahal has a single principal source but it is also fed by dozens of smaller springs. Walking in this environment one has the feeling of springs emerging everywhere. All this water has its origin from the winter snows on Mt. Hermon. The snow melts slowly, seeps into the sponge-like earth of the mountain, and emerges in the foothills. The water flows quietly from the springs, but it continues down an ever-increasing slope, turning into a torrent and generating standing waves and foam. 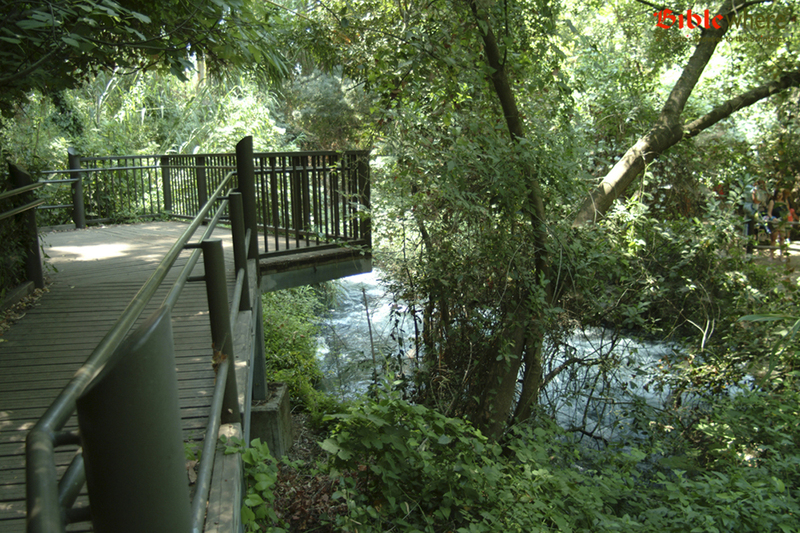 When the stream emerges from the nature reserve, it splits into several rivulets which rejoin when it encounters Nahal Hermon to form the Jordan River. 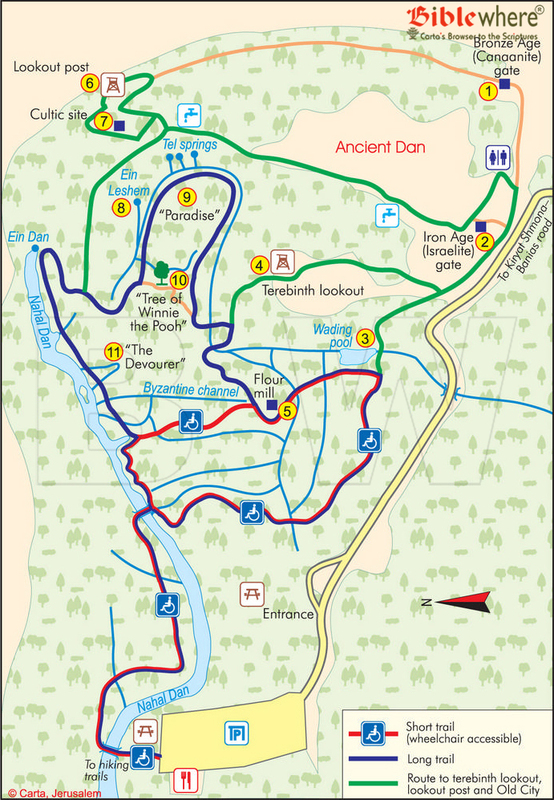 Walking through the reserve, the hiker treads alternately between smoothly-paved and muddy-slippery paths and over bridges spanning rivulets, with the sound of the flowing stream accompanying every step. Many of the areas in the nature reserve are shady and the sky is hidden because of the abundance of vegetation. The foothills of the Golan and Mt. Hermon itself constitute an integral part of the reserve’s landscape. The flowing streams and the pools beside the current constitute an excellent environment for the development of various species of animal life. Fish swim in the crystal-clear cold water, and the deeper undercurrents are breeding grounds for trout. On the stone bed of the streams are many black-grayish snails. The calm waters serve as a breeding ground for rare amphibians such as the orange salamanders. The mature salamander has a glossy black color with orange dots; it lives in the water and along the banks. At the time of mating, they descend into the water and spawn tadpoles. Like the adult salamander, they have four legs and a tail, are light-gray in color and live under the water, breathing with the aid of gills. Upon reaching maturity, they lose their gills, breathe through their lungs, and acquire the colors of the adult of the species. The vegetation is particularly lush and exploits the full range of moisture conditions from flowing water to complete aridity. Species of vegetation are found here which do not exist in other areas of the country. Large ferns known as Long Brake (Pteris Vittata) grow beside the water and beside them appear the roots of willow and other trees that sustain themselves directly from the nourishing spring water in the Nahal. The reserve has a wealth of large trees from many species: oak and terebinth (Atlantic pistachio) are a continuation of the Hermon forest. 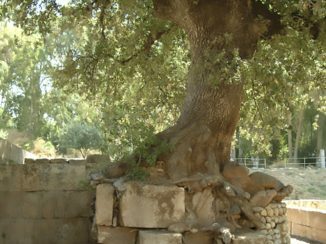 A few years back a large terebinth which was about 600 years old was destroyed by fire. Other trees found here include the Oriental Plane tree (Platanus orientalis), common willow (Salix acmophylla), and Syrian ash (Fraxinus syriaca), all native to a water environment. Two species from the Buckthorn family may be found here: Christ’s Thorn Jujube (Ziziphus spina-Christi) which bears edible fruit in the summer, and the Jerusalem Thorn (Paliurus spina-christi). Among the many climbers are some rarer varieties such as the Fragrant St. John’s-wort (Hypericum Hircinum) that has large yellow flowers. 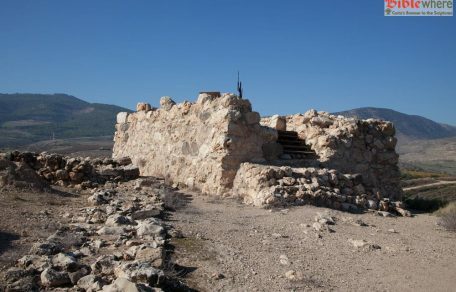 Tel Dan is located in the eastern area of the reserve. 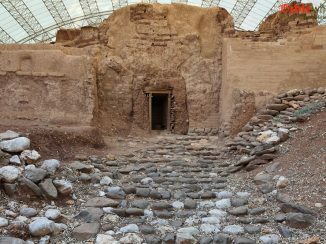 Professor Avraham Biran conducted excavations that led to one of the most written-about findings of the 1990s, the “Beit David” inscription, often referred to as the “House of David” inscription. 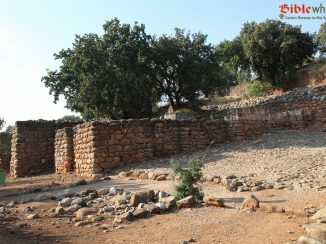 Remains from the Canaanite (Bronze) period and the monarchal period have been uncovered here including sections of the city wall with a well-preserved Canaanite city gate, a sacrificial altar—perhaps the altar that was used as a shrine during the period of the Israelite kings, and various inscriptions. As mentioned, Dan is cited numerous times in the Bible, often in demarcating the northernmost point of ancient Israel. Its original name was Laish or Leshem. 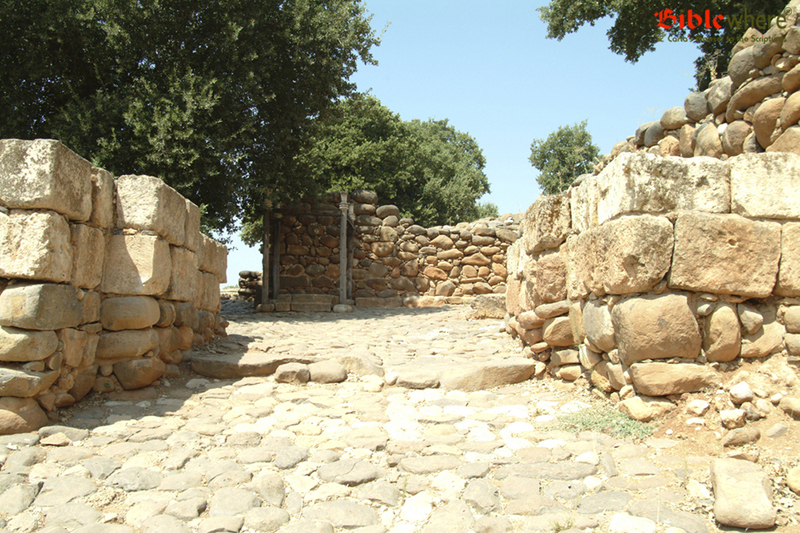 The tribe of Dan named the town after its conqueror and this appellation remained until the 4th century AD. During the First Temple period, the area served as a ritual center for the northern tribes. After the division of the United Kingdom into Israel and Judah, Jeroboam placed a golden calf in the northern sanctuary, erected “houses in high places” (i.e., shrines), and appointed priests from outside the tribe of Levi (1 Kings 12:28–29). A gate from the 18th century BC, fully preserved with a lintel in the form of an arch. 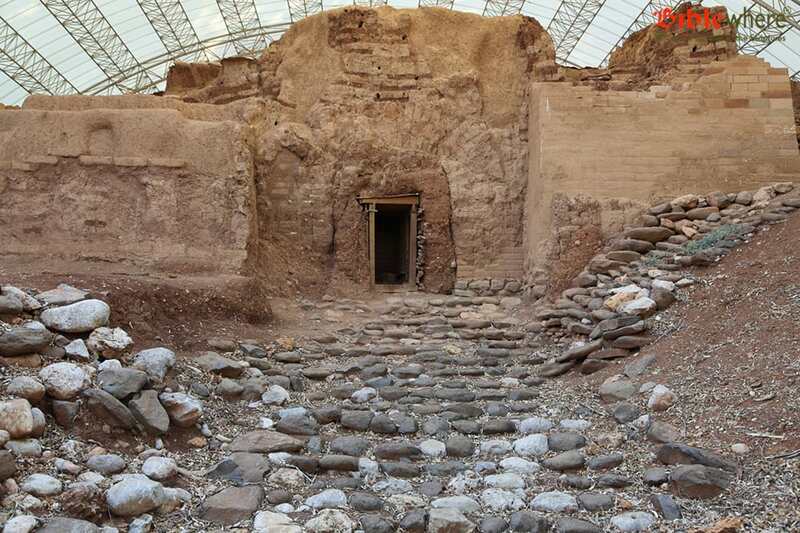 This is one of the earliest archways of its type in the world. An impressive gate structure, built from three pairs of pilasters, apparently from the First Temple period. This observation post provides a view of the Tel Dan reserve, the Hula Valley reserve, the Naphtali hill range, and the slopes of Mt. Hermon and the Golan Heights. It is named after the terebinth (Atlantic Pistachio) which grows in this area. This water-powered mill was erected 150 years ago and remained in operation until 1948. Two pairs of millstones remain at the site. Used by the Israel Defense Forces until the Six-Day War in 1967. 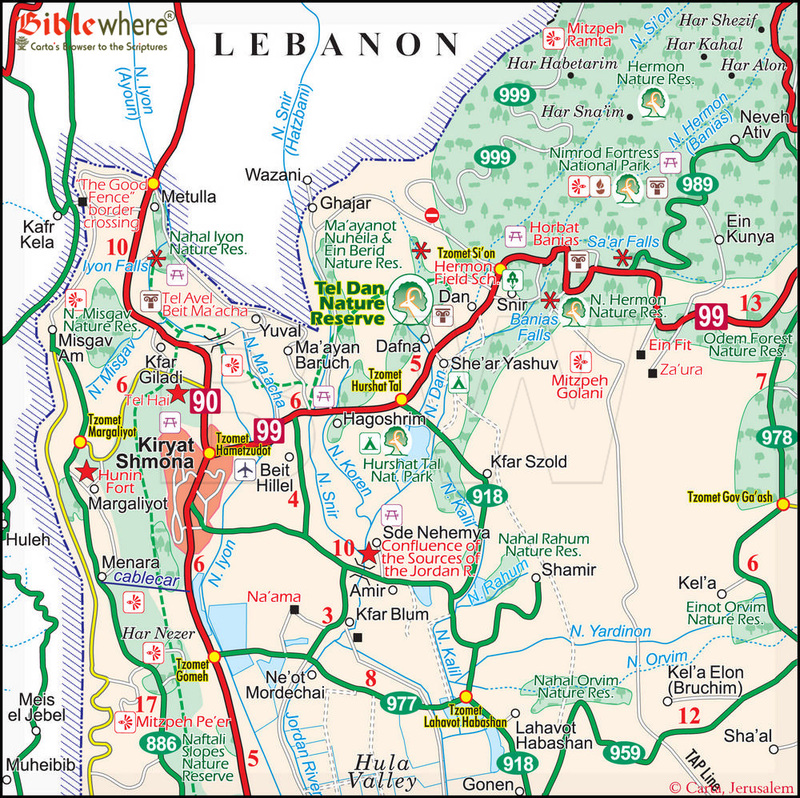 There is a good view of the patrol path, the Hermon slopes, the abandoned Syrian military outpost Nuheila, and the southern Lebanese village of el-Khayam. 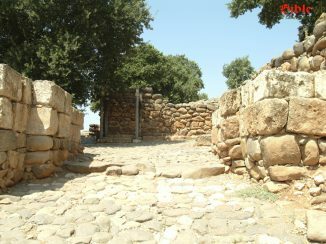 Apparently, the place where King Jeroboam built a sanctuary for sacrifices following the split in the kingdom in 930 BC. Quiet brooks, very tall True Laurel (Laurus nobilis) and other types of trees. A large and colorful Syrian ash, reminiscent of the tree in A. A. Milne’s Winnie-the-Pooh stories. A hole in the ground that absorbs a vast amount of water without leaving any mark. The rivulets beside it serve as a habitat to salamanders. Beit Ussishkin (the Ussishkin House) is a museum located inside Kibbutz Dan beside the Nature Reserve. The museum informs the visitor about various aspects of the region: its landscape, nature, archaeology, history and so forth. Various activities are scheduled. The museum serves to expound on what the visitor has seen in the reserve. Kiryat Shmona (shmona in Hebrew is “eight”) is a town in the Upper Galilee panhandle named after Joseph Trumpeldor and seven of his comrades who fell while defending the neighboring settlement of Tel Hai in 1920. The town was established in 1949 as a transit camp for Jewish immigrants on land belonging to the abandoned Arab village of Khalisa. In 1953 it obtained the status of a local council and in 1975 it officially became a town. From the end of the 1970s, the town became the target for Katyusha rockets fired from Lebanese territory and was heavily shelled during the military events in the summer of 2006. 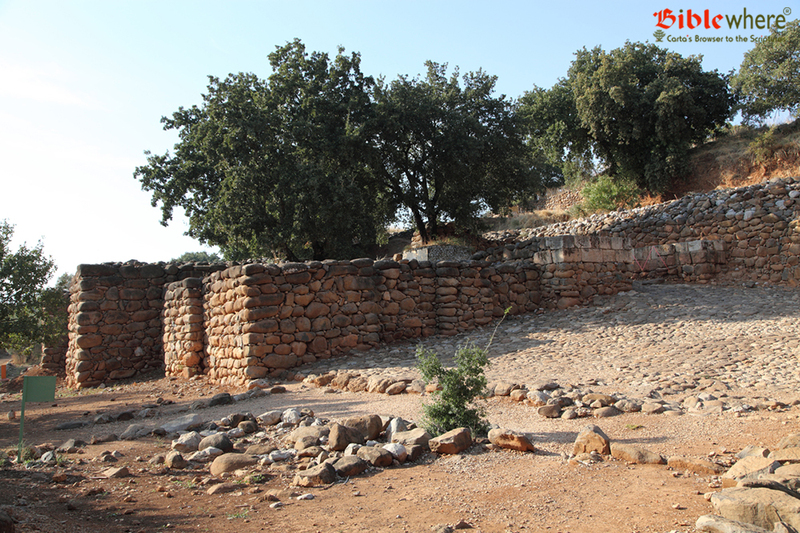 This is a commemorative site on the northern Golan plateau, 3 km north of the village of Kfar Szold. 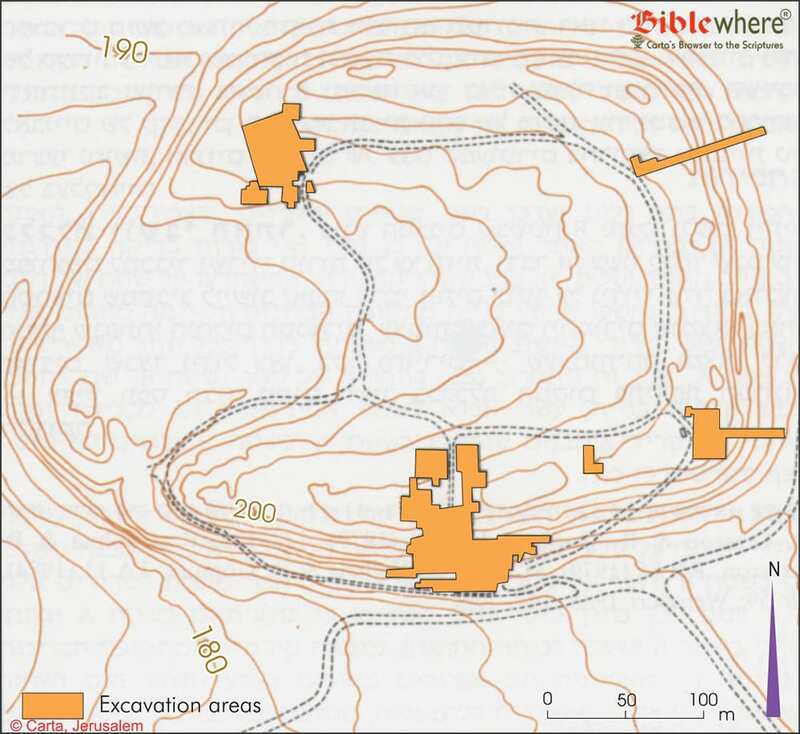 Before the Six-Day War it was a fortified Syrian post. During the War, it was captured by a Golani unit of the Israel Defense Forces following a fierce and prolonged battle. There is a memorial plaque with the names of the 34 soldiers who fell in the battle to take this position. From this observation point there is a panoramic view of the Hula Valley and its settlements. The Nahal begins in the slopes of Mt. Hermon, northeast of Majdal Shams. It flows south and then west until it empties into Nahal Hermon. Its western descent is windy and dotted with flour mills and several waterfalls, the highest of which is 23 m (Resisim Falls). This settlement serves as a tourist resort. There are artists engaged in various creative activities. There is a large dairy which is open to visitors.